I'm a novelist, namer, actor, copywriter, and a serious pop culture loving foodie! 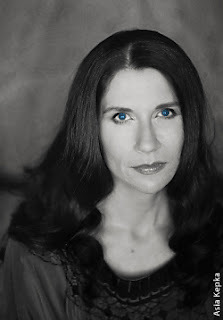 Another Amazing Author Interview from Amazing Author Caroline Leavitt!! Jennifer Haigh has long been one of my favorite writers--and I have the dog-eared, oft-reread copies of Mrs. Kimble, Baker Towers and The Condition to prove it. 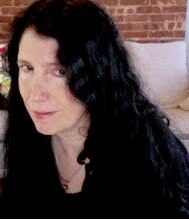 Mrs Kimble won the 2004 Pen/Hemingway Award for debut fiction; Baker towers was a New York Times bestseller and won the 2006 Pen/L.L. Winship Award for an outstanding book by a New England author. Faith is an astonishing novel about family, loyalty, and what we choose to believe and why--and there is also a fascinating book trailer that goes along with it. Thank you so much, Jennifer, for being here. Let’s talk about the narrator in Faith. She’s not sure what to believe about her brother, or her church. Why did you decide to have her be the one to tell the story? I found Sheila’s voice by accident. I’d never written a novel in the first person. I’d always considered it too limiting: in my experience, it’s rare for any one character to know all the interesting parts of a story. But when I began reading about priests suspected of abusing children, I was struck by how difficult it is to get to the bottom of the story. There are never any witnesses. The only people who know the truth of the story are the priest and the child, and often neither will talk about it. The rest of us can only speculate about what went on behind closed doors. That’s exactly what Sheila does in Faith. She’s neither a devout Catholic nor an atheist. Instead she is a seeker, a person who’s still figuring out what to believe. On the surface, Faith is about sexual abuse and the priesthood, but it’s really about so many more deeper issues about the faith we have in our clergy, in each other and in ourselves. It’s also, to my mind, about connection and love. What’s the backstory behind the writing of this novel? Like a lot of writers, I write to make sense of the world, which sometimes means writing about things that disturb me. I moved to Boston from Iowa in 2002, just as the city was reeling from revelations that Catholic priests had molested children, and that the Archdiocese had covered up the abuse. Like everybody else, I was horrified. I was raised in a Catholic family, spent twelve years in parochial schools and had extremely fond memories of my interactions with Catholic clergy. It’s no exaggeration to say that nuns and priests were the heroes of my childhood. As I read about what had happened in Boston, I found it impossible to square it with those tender memories of my Catholic childhood. 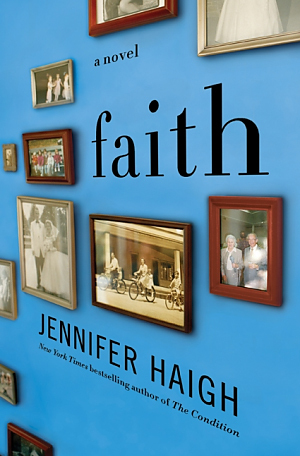 Faith was my attempt to explain the inexplicable, to understand what I couldn’t make sense of in any other way. Without giving anything away, what I loved was how often expectations were reversed. I thought I knew where the story was going, and it almost always veered in another direction. How carefully do you map out where you want to go? When you started writing this novel, did you know whether you wanted Art to be guilty or innocent? I wanted Art to be innocent, but suspected he might be guilty. Like Sheila, I figured it out gradually. All of the surprising events in the story were surprises to me too. I never write with a fixed idea of how the story will end. The suspense is what keeps me going. Basically, I write novels for the same reason I read them: to find out what happens next. What was the writing of Faith like? Your last novel, The Condition, was this wonderful expansive novel, but Faith seems leaner and tighter on some levels. Was this a deliberate choice? Not deliberate – it came about organically, probably as a result of writing in the first person. The Condition is told from multiple points of view; and the same event is often seen through different characters’ eyes. The story lies in the contrast: how differently Paulette and her ex-husband remember their marriage, for example. In Faith everything is filtered through Sheila. There’s none of that interplay between perspectives, and the result is a tighter structure. We are limited by what she knows and what she understands. What’s obsessing you now in your work? I’m nearly finished with a collection of short stories I’ve been working on for seven years. They’re all set in Bakerton, the western Pennsylvania coal town where my second novel, Baker Towers, takes place. A few of the characters from Baker Towers actually reappear: Miss Peale, the schoolmistress; Joyce Novak and her mysterious younger brother Sandy, who runs off to California and is rarely seen again. Readers have been asking me for years what became of Sandy Novak. The story collection will finally answer that question.